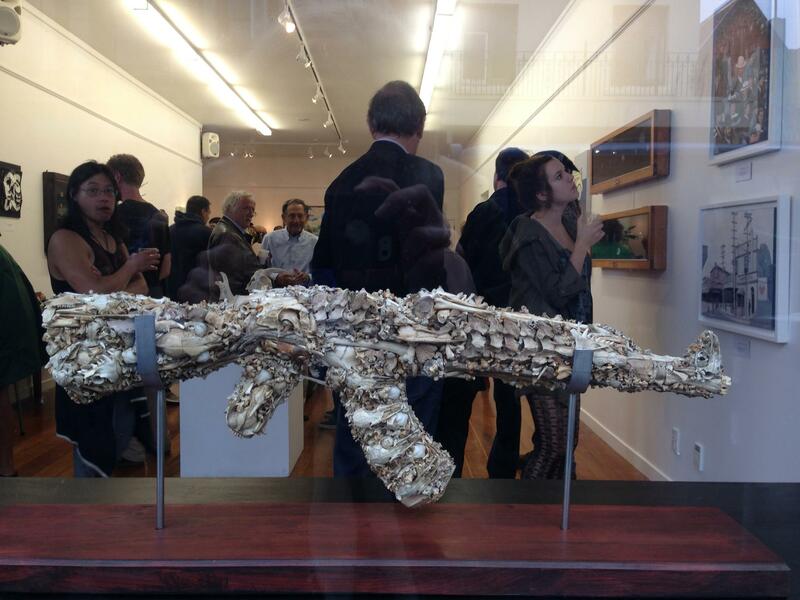 The latest bone gun by New Zealand bone artist – Mahalski – is a life-size AK47 (330mm x 940mm) featuring bones from rabbit, stoat, ferret, sheep, , pheasant, wallaby, snapper, snake, blackbird, tarakihi, hedgehog, broad-billed prion , thrush,,cat and possum (plus a single bone from the skull of an extinct moa ). It is displayed standing upright on two rods on a piece of recycled matai timber (1130mm x 2000m). Photos by Michael Hall and Loren Squires. 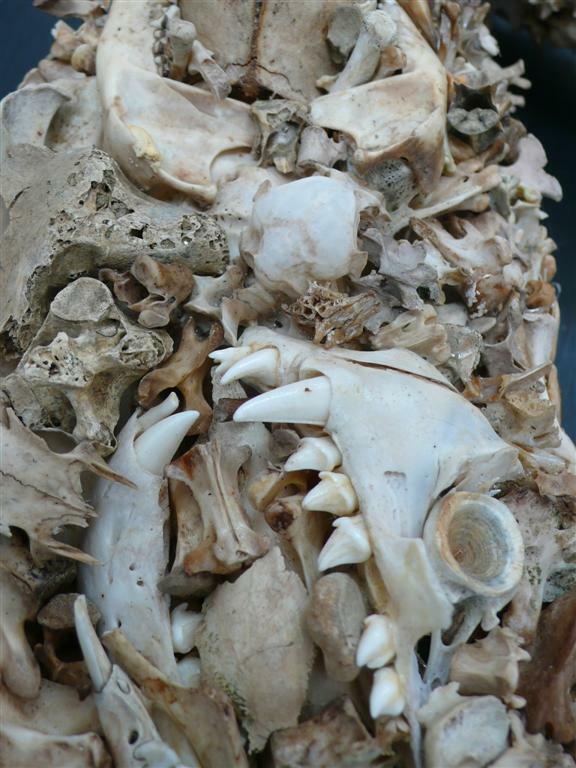 The stock (below))) has the embedded skull of a seal and above it and to the left is a bone from an extinct moa which was found in a cave in Golden Bay. 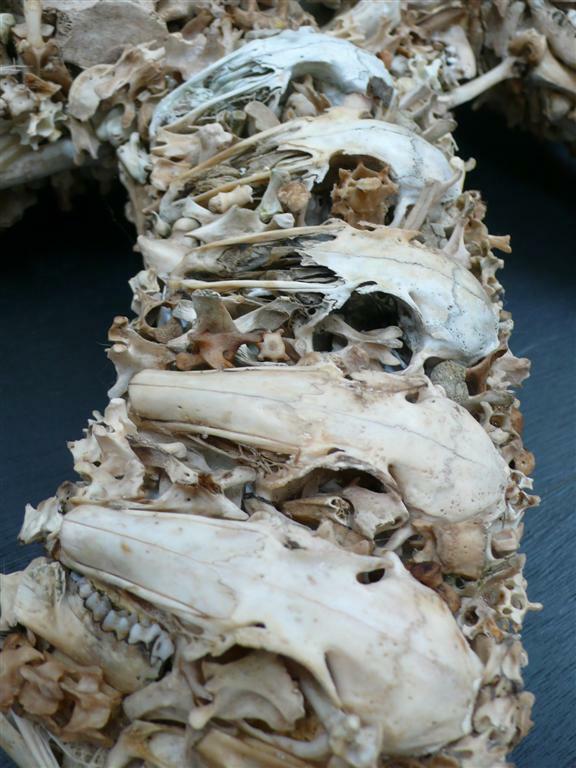 The magazine(below) is made of ten rabbit skulls (five on each side)interlaced on one side with the skulls of broad-billed prions and filled with vertebrae and other bones from small birds and mammals.